In the months, weeks, and days leading up to your wedding, you may feel as though to-do lists are starting to take over your life. But take a step back and remind yourself that while it is easy to want your wedding day to be perfect, all details aside, the most important thing is that you get married to your best friend Therefore, your health should be at the top of that to do list. Below we’ve listed 5 self-care secrets that you deserve giving yourself the time for. A lot of us fear the words “calories” and “fat”, and try to consume as little of these as possible. But limiting your calorie intake too drastically can actually trick your brain into “starvation mode” which causes your body to hold on to the few calories you do consume. Now we aren’t encouraging a donut and cake diet, but we are stressing you incorporate enough calories and appropriate fats into your diet. Treat yourself to that avocado toast that you know you’re craving; healthy fats like these can be the difference between brittle hair or dry skin and silky hair and soft skin on your wedding day! Sleep is one of the most important pillars of health, but also the one we tend to put on the back burner when the going gets rough. We know that your Pinterest Wedding board is probably keeping you up at night, but sleep is the foundation to proper digestion, stress management, and energy levels. Aim for 8 hours each night and you will feel and look your best come your wedding day—promise. If you have to drink something, let it be water. Keeping yourself hydrated is the simplest and most natural secret to boosting your energy levels, managing weight, and relieving your skin from any unwanted toxins. Before or after every cup of coffee or cocktail, drink a cup of water. Let your phone become your accountability partner by setting alarms as water reminders. If drinking water has always been a challenge, eat it! Fruits such as watermelon (92% water), strawberries (92%), grapefruit (91%), and cantaloupe (90%) have extremely high water contents and are packed with vitamins and minerals that will have you glowing on your wedding day! 4. Pregame with healthy bites! Throughout your engagement, you’ll probably be attending several events leading up to the big day: engagement party, bridal shower, bachelorette party, etc. Go back to your college days of pre-gaming, but do so with a plate of leafy greens and protein. This will leave you with just enough room to still enjoy—but not overindulge—on the event’s appetizers and desserts, and it will allow you to focus more on talking with your friends & family than on a grumbling stomach. Exercising can be one of the hardest habits to adopt, but that is often because we approach it the wrong way. Rather than pushing yourself to go from 0 to 100 by committing to an arduous exercise routine that you will wake up dreading, the trick to starting and maintaining a frequent exercise routine lies in doing something active that you genuinely enjoy. Walking, rollerblading, swimming, tennis; you do you. Once you find yourself engaged in that activity, play with its frequency, intensity, and duration and you will find that while you’re exited to workout, you’ll also constantly be and feel challenged. Wedding day emotions are a little like riding a seesaw. At times, you may feel as though your being weighed down by stress and nerves, but we promise that the joy, excitement and love that will trickle through every inch of your body will always give you enough strength to push off any feelings weighing you down. 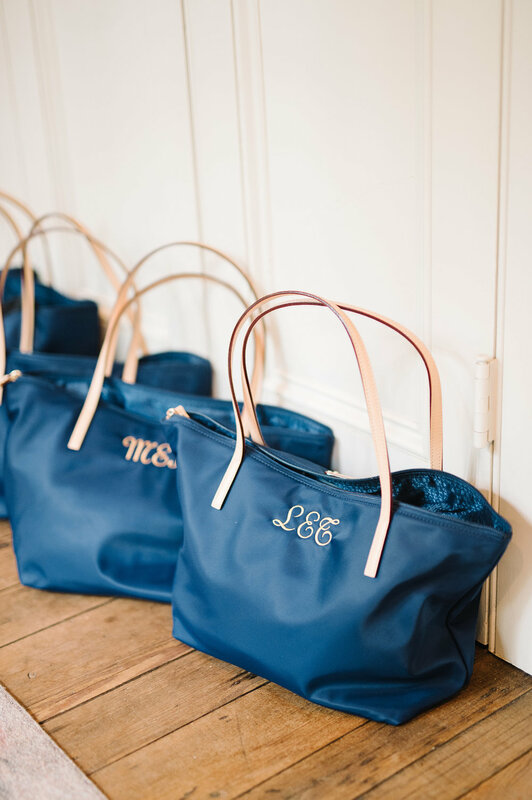 With that being said, one of the best things a maid of honor/bridesmaid can do to help a bride’s mind run at a more peaceful 30 miles per hour is to be prepared to put off any fires that may arise by having a Day-Of Emergency Kit that is fully equipped and always accessible! Below is a list of small items that have big ways of saving the day! Hairspray – To pretend as though the summer’s humidity ceases to exist! Band-Aids – New shoes often and unfortunately screams: blisters! Deodorant – No explanation needed! Medicine (Advil, Benadryl, Tums) – Headache? Allergies? Indigestion? You’re covered! Stain wipes – Let’s hope they stay unused, but it’s better to be safe than sorry! Heel Protectors – Stilettos and grass are an evil combination! Granola Bar/Snacks – To prevent a hangry bridal party! Pure Luxe Bride will always have a full emergency kit of anything the bride, bridal party, family or guests would need! If you are in a pinch, we've got you covered! If you want a reception that gets your four-year-old flower girl twirling, your friends slow-dancing, your parents singing their way back to their era, your grandpa busting his stylish moves, and of course, you and your Mr. doing all of the above, it’s important to spend some time planning the perfect playlist for your wedding. 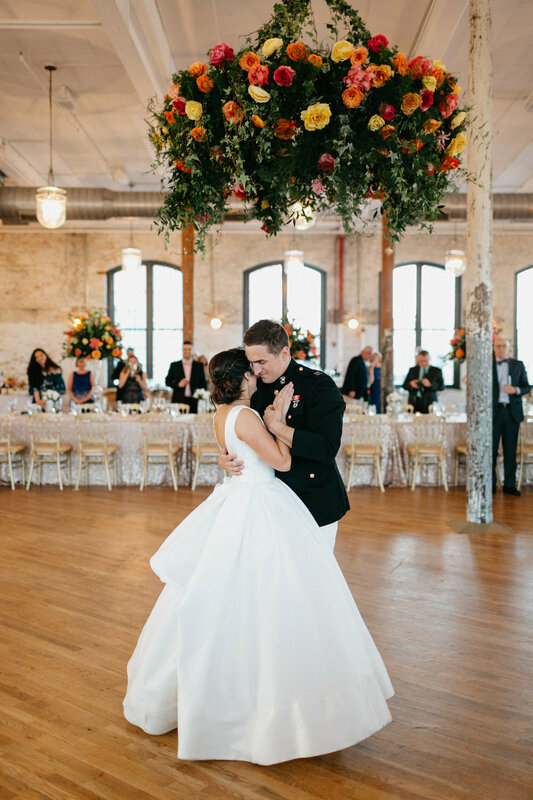 To help you get started, we’ve made four playlists with song suggestions to help you pack the dance floor, have your guests reeling in romance, close out the night, and—since we are in South Carolina—bring out the Southern Charm of every guest! Everyone has heard the age old tradition of the bride wearing something old, something new, something borrowed, something blue on her wedding day in order to bring good luck and prosperity. 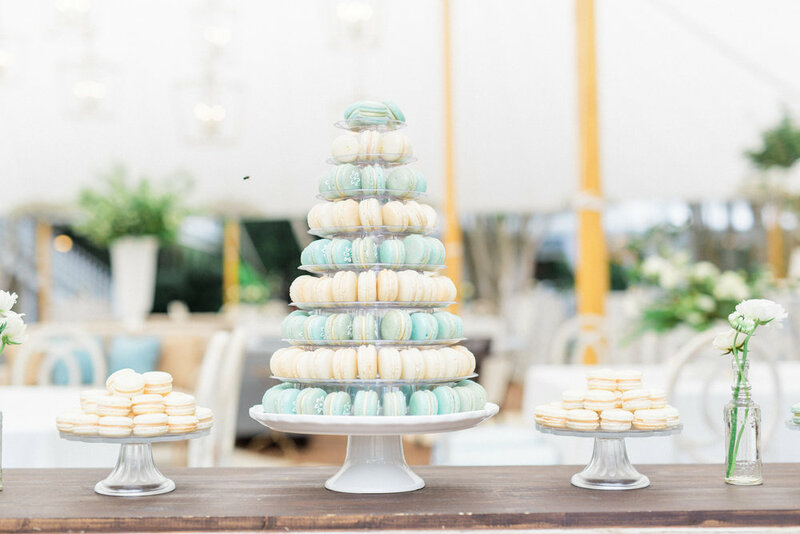 Here are a few ways to incorporate that into your own special day! 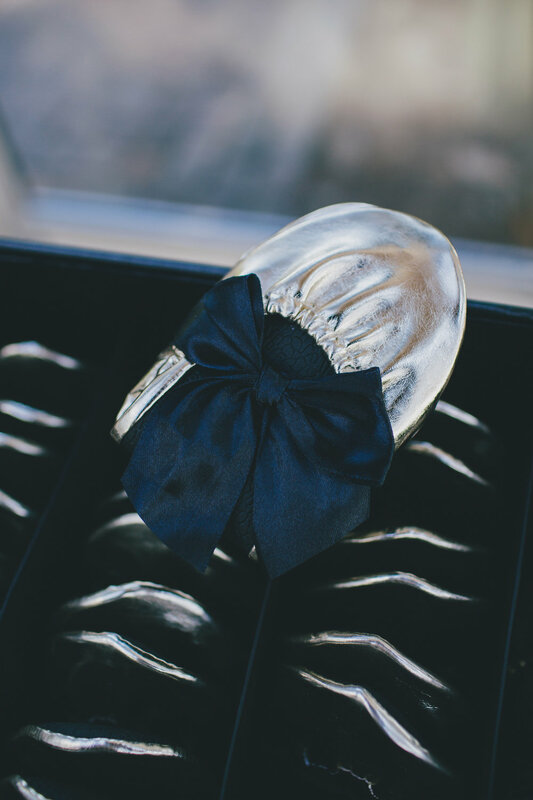 A few ways to incorporate something "old" into your wedding day attire could be to wear your favorite pair of heels, or jewelry. 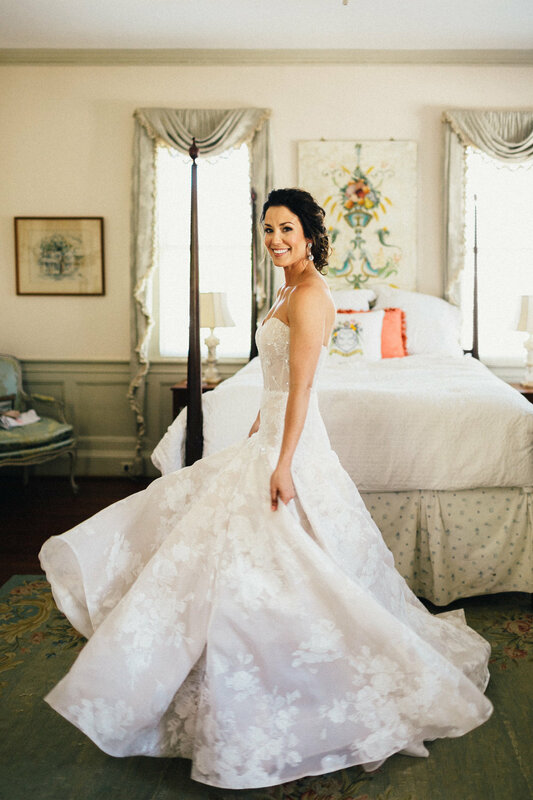 Wear your mother's wedding dress, or even try to find a designer to help incorporate a piece of her wedding gown into your own or into your bouquet. Even if it can't be seen, you will know it's there! This can be almost anything you're wearing on your wedding day, perhaps a gift from any relative, maybe a new pair of earrings for the big day, a new pair of shoes, or even your wedding dress. Perhaps the most special of them all, this one helps include those special people into your in your big day! Whether it's borrowing your grandmother's pearls, or a family photo locket, pins or charms to put on your bouquet. This one can be fun to incorporate into your attire, no matter what your wedding's color palette is. Shoes can be a fun way to add this little pop of color for good luck and can also double up as new and blue. Another idea could be getting something special embroidered in blue thread on the inside of your dress. Many of these can be combined as well, and however you decide to include these in your own bridal look will be the perfect finishing touches to what is sure to be the best day of your life! Looking for alternate idea to wedding favors for your guests? A different option in lieu of wedding favors is to donate to a charity of your choosing. Pick a charity whose mission statement is near and dear to you as a couple and present it at the wedding so guests know you made a donation on their behalf. This choice of 'favor' would not only allow you to give a little back, but leave your guests feeling good long after they depart the wedding. Another idea is to provide an item that can be used at the wedding and taken home later as a memory. Koozies to keep your beer cold, pashminas for winter weddings, rescue flats for the ladies, place cards such as oyster shells, and the list goes on! There are tons of fun options! With your big day quickly approaching, you might feel like you need some time to yourself before all of the wedding festivities begin. 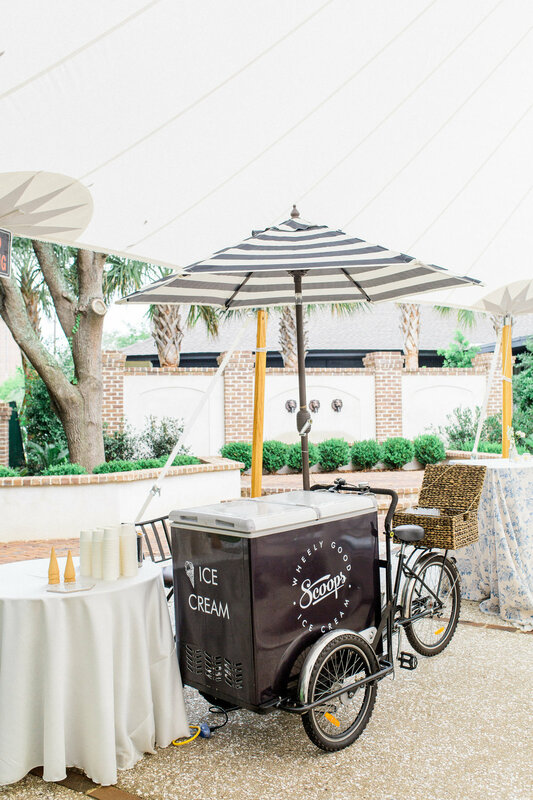 Our advice is to grab your bestie (or Mom) and hit up some fun, relaxing things to do while you are waiting for your guests to arrive to Charleston. Not sure exactly what to do? Here's our ultimate go-to guide for all things relaxing and fun! Be focused and present for you special day. Your wedding is about you and your love, but it is easy to get lost in the details, and planning and making everyone happy. Choose to start your day with a one on one private yoga session to quiet the chaos, to connect to your place of balance, to ground and be reminded that it’s all about love and that everything else will fall into place. Melora with Serenity Tree Yoga offers private lessons for the bride to be and can come to you or a beach location. What a perfect way to start your wedding week! A new trend in Charleston, wine blending is a great way to relax and create the perfect bottle of wine to celebrate your special day! Not only is your wine designed and blended by you, but you also get to create your own label to finish it off. Blend. Sip. Repeat! Nothing says relaxation like the scent of a candle! Candlefish, a candle store that carries every type of candle you could imagine, offers BYOB candle making classes. You and your MOH can pop some bubbly and create a memorable scent to remind you of such a special occasion! The Charleston skyline is a must-see and what better way to take in the gorgeous view than from a super chic rooftop bar! 5. Get a spray tan from Canary Rock! Want a nice bronzed glow and don't live at the beach or get much sun? We recommend a spray tan just a few days before the big day from Canary Rock Salon. We're obsessed with social media and with so many of your guests also equally in love with Instagram, Twitter and Facebook, your wedding can be documented by your near and dear in real time! With unique hashtags, you’ll be able to view your guests photos whenever you want! Not only can you use a hashtag for your big day, we also love the fun bachelor and bachelorette weekend hashtags. Picking a hashtag will be one of the most fun things you will get to do (besides cake tasting!) Here are some tips to pick the punniest, sweetest hashtag that your guests will LOVE! It's all about how the hashtag rolls off the tongue, or your fingertips! Alliteration makes your hashtag sound smooth! If you're stuck for ideas, you can guarantee you will find one using alliteration. For example, #NicholsonNuptuals, #HarrisonsGetHitched. If you're still having a hard time coming up with something creative, try using The Wedding Hashtag Generator! Once you pick your hashtag, you can use it from the moment he pops down on one knee! Use it to document fun engagement adventures up until your wedding day. Then, all you need to do is pick fun frames to place around your venue to encourage your guests to use your hashtag! You will be able to look back on moments that your guests captured and cherish them forever.